Freedom To Choose Devices In Operating Your Food Business! Freedom of doing business in own style, makes working hard on it all the more easier and exciting! In Fooddialer we understand the excitement of own free will in own business and therefore we have taken care to incorporate features that will enable business owners to run their business from the choice of their devices. Technology is one thing that cannot be avoided in todays world. Turning back to it, is like despising growth or running backward in the competition. Therefore, we have no other way but to seek refuge in technology. However, with Fooddialer you are free to choose your choice of device. To make the experience more seamless and truly convenient, Fooddialer offers premium features of accepting orders from multiple sources and Multi-device support. The feature of accepting orders from multiple sources allows the end customers to place orders through website and mobile app. Even one can use mobile phone in case of repeating the last order via missed call. Administrators (one processing the order on business-end) can also book phone orders on behalf of customers. This is because there are times when end-customers are not comfortable with website and mobile app and prefer placing orders verbally via phone. In that case, administration can make entry on customers’ behalf and thereby keeping the business process streamlined in Fooddialer application. Fooddialer also offers specialized Android and iOS mobile apps to make it all the more easier for the varied customer base. While the previous one made ordering all the more easier on the end customers’ end, convenience on business-front is certainly not overlooked. 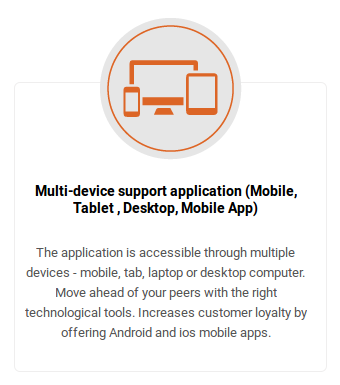 Multi-device support on other hand enables the application to be accessible via multiple devices like mobile, tab, laptop or desktop computer which enable one to operate the business from anywhere and everywhere like a true boss. So isn’t it a true freedom? Do let us know in the comment box below! Experience a new dimension of your food business, gift it Fooddialer. Know more here: http://www.fooddialer.com or request for our free demonstration.